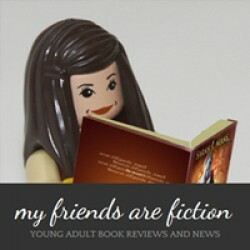 This and other reviews are on my blog My Friends Are FictionI have an interview and giveaway with Kelsey Sutton on my blogActual rating 4.5The Story: I went into reading Some Quiet Place with no knowledge of the subject matter. 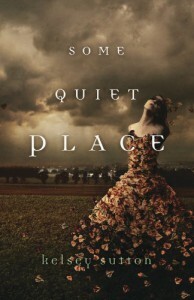 I fell immediately in love with the cover and title so did not hesitate on requesting a copy to review. I just vaguely glanced at the summary. Going blindly into this book made for a wonderful reading experience. I had no idea where Sutton was going to take me and was captive to her story telling. This book moves slowly and is swathed in darkness but there is that glimmer of hope and love floating right out of reach throughout reading.Sutton personifies human emotion into actual beings that are not visible to the observer though they are near. Sutton does a wonderful job and is reminiscent of Neil Gaiman's Sandman. We experience the book through the main characters first person experience and since the story centers around a girl that is incapable of feeling any emotions I read the book feeling one step removed from what was happened to our main character, Elizabeth, even when it was brutal. There are some scenes that are just horrible with Elizabeth's father, Tim, hitting her. I tend to not be able to read books that feature abuse strongly but because of the way it was written I was able to not only keep reading but was always wanting to read more. I never felt that the story lacked depth and mystery which lent itself to a very enjoyable and captivating experience.The Characters: Not only does Sutton accomplish writing a story that held my interest she created a cast of characters that I really fell in love with. She gave each character even secondary ones depth and dimension. Even, Tim, the alcoholic and abusive father is given glimpses of a soul. I felt most drawn to Fear, small details like his breath smelling of strawberries and terror (still don't know what terror tastes like) just made him so real to me. I loved the personification of emotions and elements. The brief descriptions of the human form of each emotion gave me a strong visual and I could see the characters and the story playing out in my mind's eye.Our main character, Elizabeth, is confused and trying to find some answer as to why she feels nothing and can see what other people can not, emotions and elements. She is written very realistically and incredibly believable. As the book progresses bit by bit Elizabeth finds answers and the wall blocking her feelings cracks. Its done beautifully and so subtle.Final Thoughts: Not knowing what I was in for I was completely taken back by how beautifully and well done this novel was written. I think Kelsey Sutton did an amazing job at connecting her reader to a main character with no emotions. I look forward to Sutton's next book.